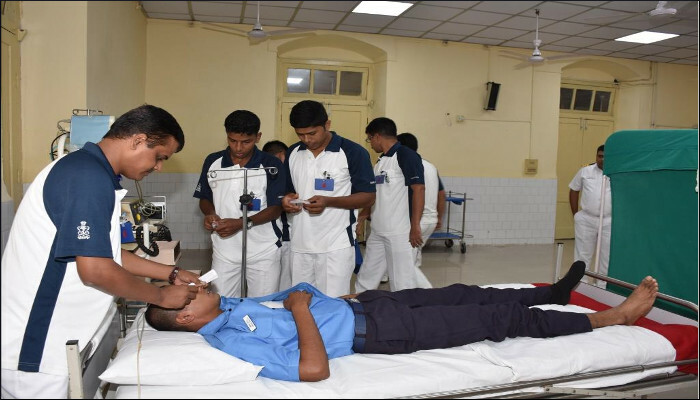 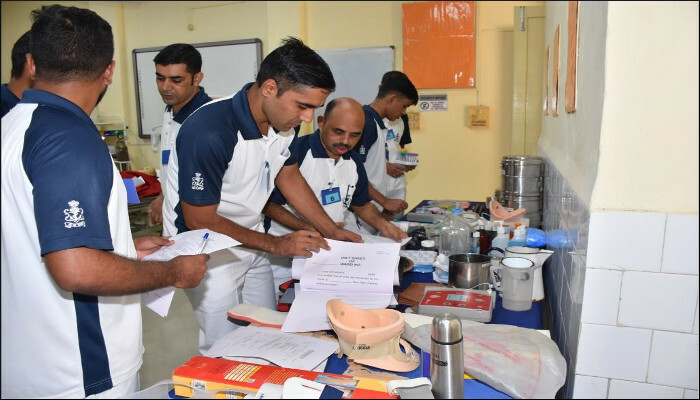 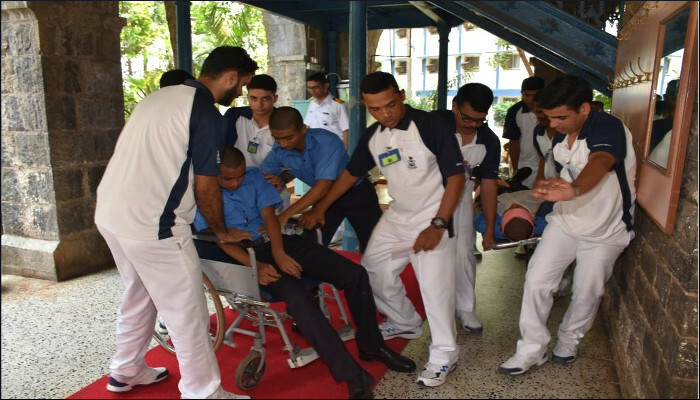 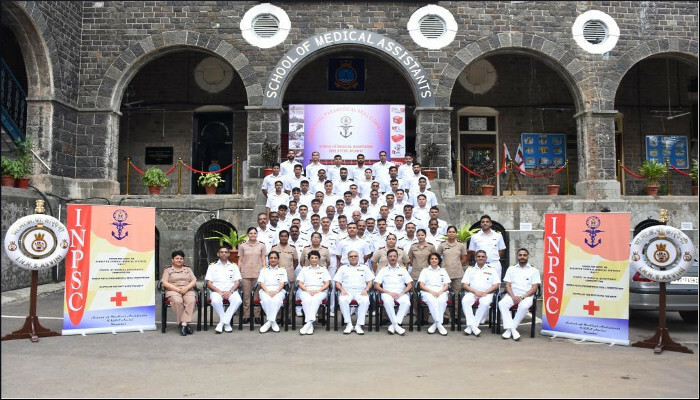 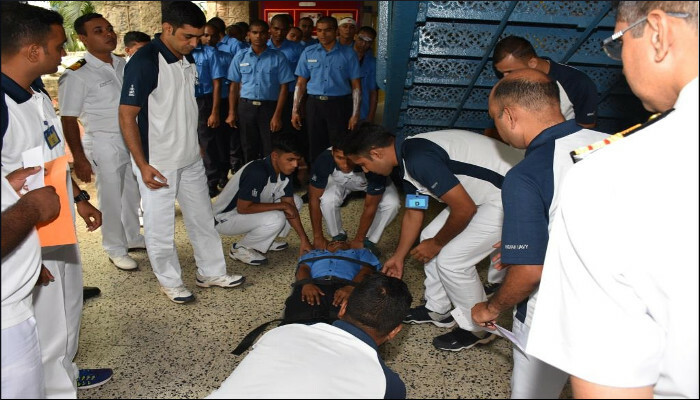 Indian Naval Paramedical Skill Competition (INPSC) was conducted on 24 and 25 September 2018 by the School of Medical Assistants at Mumbai. 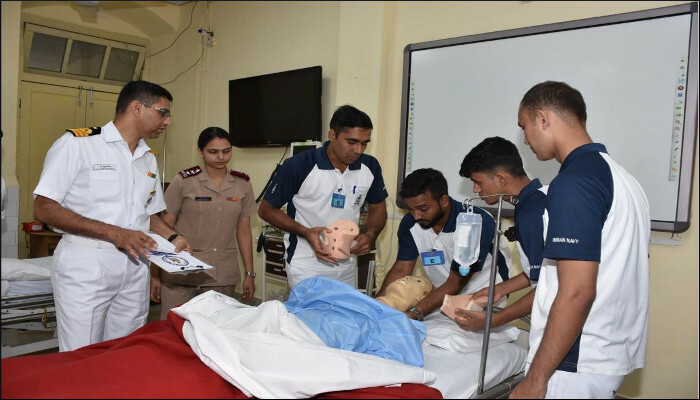 The aim of the competition was to test the professional knowledge and medical and surgical skills of paramedics to ascertain their competency to handle emergencies, both afloat and ashore, as well as to provide best medical care. 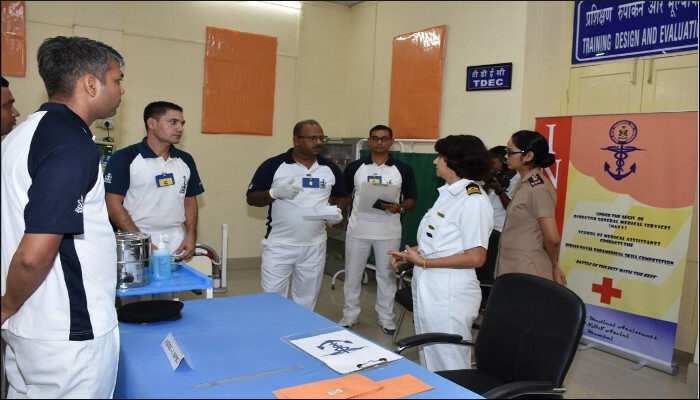 Four teams comprising nine members each from Western, Southern and Eastern Naval Commands and Andaman and Nicobar Command, along with Medical Assistants of Indian Coast Guard participated in the competition. 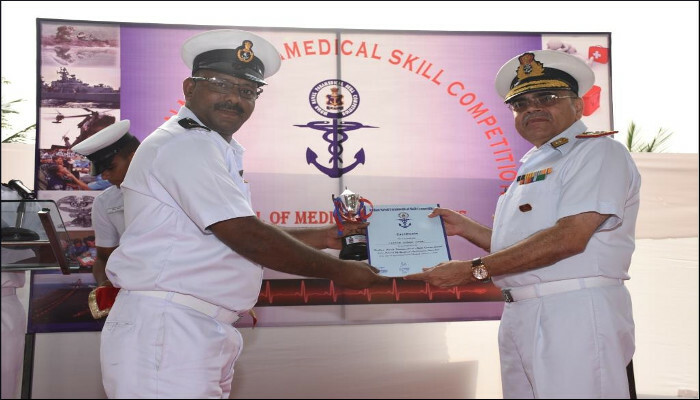 Eastern Naval Command Team stood first and was awarded the ‘Chief of Naval Staff Rolling Trophy’ for the first INPSC-2018. 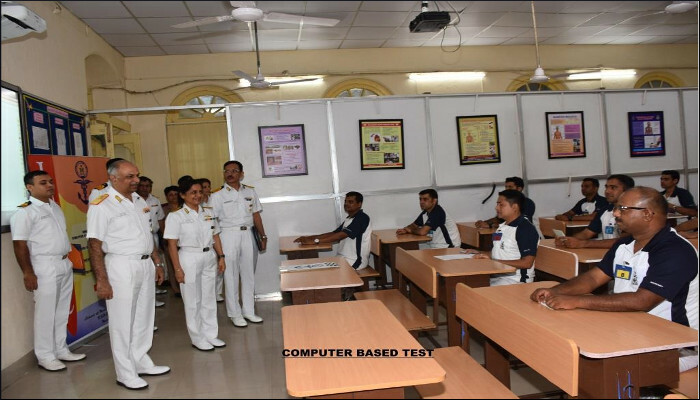 The event was inaugurated by the Executive Officer, INHS Asvini. 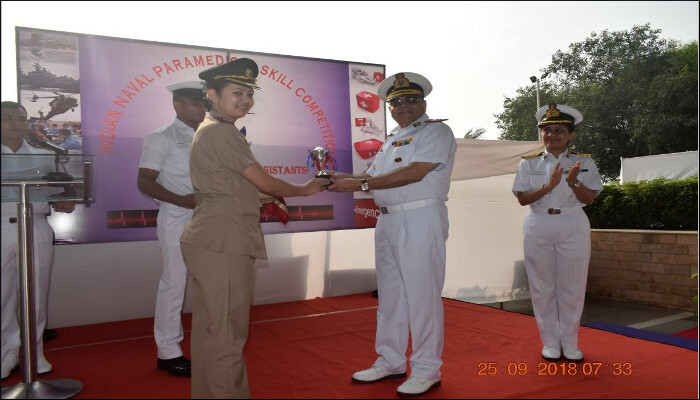 Commanding Officer, INHS Asvini, the chief guest for the closing ceremony, presented awards to the winners.